Maureen Linke Producer, Interactive Applications teams, USA TODAY/ Gannett Digital Maureen Linke is a producer on the Interactive Applications teams at USA TODAY/ Gannett Digital, where she builds interactive news apps, data visualizations and tools for journalists. 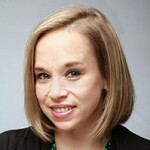 Prior to creating interactives, Maureen was a graphics reporter and before joining Gannett, she also worked for CNN.com. A native of the Washington DC area, she enjoys running, spending time with family and acquiring too many shoes.